Living in the Philadelphia area, homeowners have always looked for more efficient ways to make living indoors more comfortable. And as we all know, our winters are usually longer and colder than we expect, but having a new ductless system in your home can help your home stay warm and comfortable all year around. Sure, heat pumps were a huge leap in technology back then combining efficient operation with heat and cooling in one unit, but a ductless system is even better. A ductless system is so different from a furnace or traditional heat pump because they combine the efficiency you want with the warmth you need. Sound great? That's because it is! Before heat pumps were developed, many homes had a forced air furnace or boiler system. Heat pumps were revolutionary because they worked in a completely different way. Instead of creating heat through combustion or electricity, they drew heat from the outside air. But that was a problem in our area. Why? Because the colder temperatures dropped, the less heat there was to collect. Well, Mitsubishi ductless systems don't have that problem. They use heat pump technology, but in a brand new way. They're truly the next revolution in home heating technology, and they'll keep you cozy in temperatures as low as 13 below zero! Ductless heat pumps, by definition, don't use ductwork. If you're building a new home in Bucks County or Philadelphia, you won't have a vent system to factor into the overall construction costs. But mini-split systems are also ideal for retrofit applications and new additions. 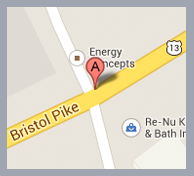 You can actually choose the location of every component, because you aren't limited by the location of old ducts. It’s a simple solution for homeowners who don’t want to deal with ductwork ever again! Most homes have areas that get heavy use, such as bedrooms, the living room, and at least one bathroom. But it's just as common to have a few areas that are rarely used, such as a guest room or an extra bath. With a mini-split, you have more control over which rooms are heated and cooled than just closing the louvers on a register. Ductless systems are designed as true zone heating and cooling. With this system you control how much heated or cooled air is used in any part of your home. Keeping with the zone control, ductless systems are the perfect solution for the trouble spots that most homes have. Not all homes are perfect. Maybe there's a bank of windows where the sun's heat is too intense. Or maybe you've got a chronic draft that makes part of a room too cold. With a mini-split, you can target heating or cooling to the areas that need it most without using a space heater or window air conditioner. So worry no more because a ductless system can help take care of any annoying trouble areas throughout your home. 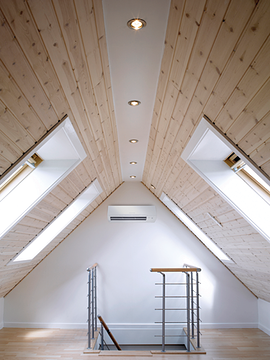 All ductless systems are advanced, but Mitsubishi is on the cutting edge of mini-split technology. With the i-see Sensor™ 3D zone monitoring system, your heating and cooling automatically adjust when there's a cold or hot spot. Need allergen reduction? Choose a system with multi-stage filtration for cleaner and healthier air. And with the Hot Start™ system, the only thing you'll feel when the heat switches on is instant warmth. But that’s not all. Heat pumps have a reputation for not keeping up when the temperatures outdoors dip too low. That's no longer an issue, as Mitsubishi's unparalleled Hyper-Heating INVERTER (H2i®) technology keeps you toasty warm, even in temperatures as low as -13º F.
Everyone wants to save energy, but adjusting the thermostat and wrapping yourself up in a blanket isn't the most comfortable way to do it. 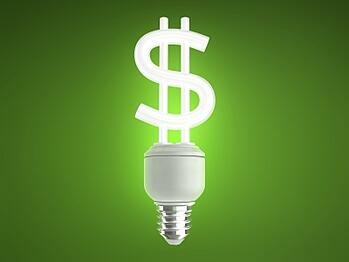 Mitsubishi has more Energy Star rated ductless systems than ever before. So your home stays just the way you want it year round, and you won't need a second mortgage to pay your energy bills. Mitsubishi ductless heating and cooling systems make life more comfortable and convenient, no matter how unpredictable the weather may be. And unlike many other systems, there's no annoying hum or whirr; it's whisper quiet. Installation is simple, there's no oversize unit taking up space outside or indoors, and you even have the option to control your system with the touch of a remote. 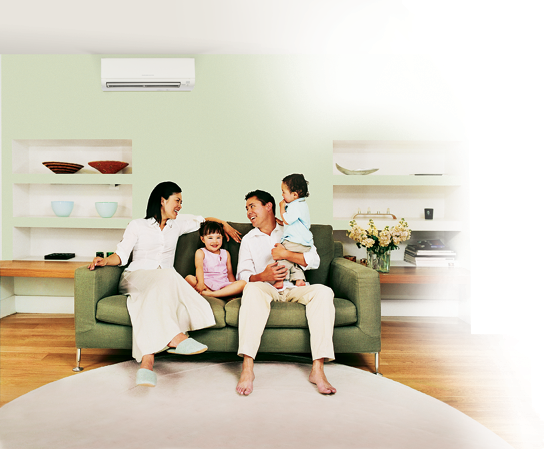 If you haven't looked into what a Mitsubishi ductless heat pump can do for you, there's no better time than now. To find out more information click our link below or give us a call at 215-245-3200.